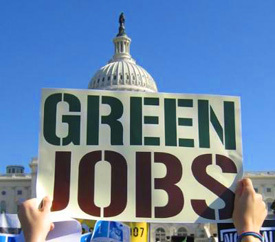 Is a Green Job in Your Future? Amidst the dim short-term outlook for the U.S. economy, there may be some signs of a bright, long future for the emerging green jobs sector. In fact, it may have just been given a major boost. Perhaps no current figure better personifies the quest for green jobs than Van Jones, author of The Green Collar Economy and founder of Green for All, the Oakland, California-based organization dedicated to developing environmentally-oriented job opportunities for all communities, particularly the underprivileged. Having also helped found both the Ella Baker Center for Human Rights and 1Sky, he has made environmental and societal challenges a career priority, and in a reflection of how high a priority green job creation is to the Obama Administration, he has just been named Special Advisor for Green Jobs, Enterprise & Innovation at the White House Council on Environmental Quality. Along with Secretary of Labor Hilda Solis, a long-time advocate for a green collar economy herself, Van Jones may soon become a household name among those in the growing community of green job seekers. Although a lot of people may already know, there are still many who are unclear and even confused as to what exactly a “green job” is. What is so promising about this category of jobs is that there is virtually no limit of sectors in which to seek opportunities, as well as endless resources (growing literally, by the day) providing invaluable information. By using online search engines like Google, as well as the public library, one will find numerous website, books, and magazines on sustainable business, environmental policy, renewable energy, and green culture, from which to learn about the prominent issues, as well as related jobs within each area. The list is simply too great to include here, but some of the issues and opportunities that exist today include: consumer waste, resource conservation, energy efficiency, environmental policy, green building, and industrial design, with corresponding job titles such as recycling manager, land use planner, solar installer, policy analyst, architect, and product designer. A number of these positions may require an advanced degree, even a PhD, however many only require an Associate’s or BA degree, and some a professional certificate following intensive training within a timeframe of less than one or two years. It is important to note, that due to the sheer volume of possibilities that exist, it is crucial to develop a plan of approach to one’s search, in order to keep from becoming overwhelmed. To do this, one should determine which areas are most appealing, and learn as much as possible on the relevant topics, and explore the various educational and professional backgrounds required for a position, in case one is not able to make a lateral career transition with the skills he or she currently has. Speaking from personal experience, there is nothing quite like searching for a green job. Whether you are struck by a passion for environmental and energy issues like myself, and are seeking work that will help solve the challenges at hand, or want to find opportunities in areas of great projected growth, the time couldn’t be better spent. A recent promising report by the American Solar Energy Society (ASES) suggests the possibility of upwards of 35 million + jobs in the renewable energy sector alone, and Forbes Magazine listed the top 10 U.S. cities for green jobs last fall. It is no surprise that many leaders in the environmental community are so optimistic that our country is on the verge of a wave of new opportunities for the unemployed, as well as those wishing to make transitions into environmentally oriented careers. If you have the desire and plan an organized search, a green job may be in your future! 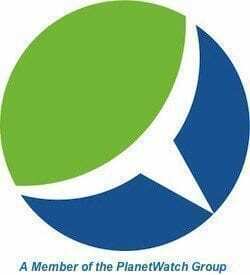 ASES, AWEA, Green Biz, Energy Central, Idealist, Sustainable Business, Treehugger, USGBC, and even the social networking sites, LinkedIn, and twitter. Careers in Renewable Energy, Earth: The Sequel, ECOpreneuring, Hot, Flat, and Crowded, The ECO Guide to Careers that Make a Difference, The Green Collar Economy, 75 Green Businesses You Can Start to Make Money and Make A Difference. E Magazine, Earth 3.0, Eco-Structure, energy biz, ed+c, Solar Today, WindPower Monthly. Well said, Juggy. All your points are valid in my opinion.